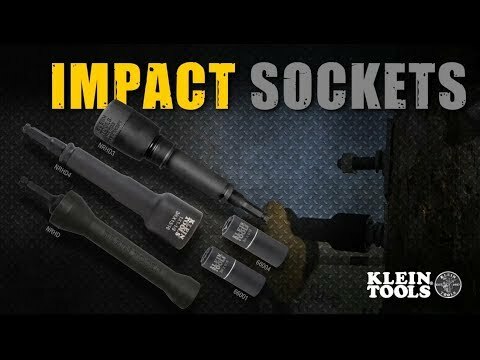 Single-ended impact socket wrench with hands-free adjustment between 3/4 inch and 9/16 inch hex sizes. Deep socket with a 1/2 inch drive works great for pole hardware installation and removal. The high-torque, 6-point design contacts flat sides of hex fasteners to reduce round-off.